"SNAP saves lives, by reducing pet overpopulation." SNAP has been a community resource for almost three decades. It all started with implementation of the very first referral guide of affordable spay/neuter providers in San Diego County to decrease euthanasia rates in City and County-run shelters, which eventually led to becoming an actual affordable spay/neuter provider for greater impact. Tangible results have been realized over the years through strong programming that works together to advance our mission of saving lives by reducing pet overpopulation. Our affordable spay/neuter clinics are held “on location” throughout San Diego County via the Neuter Scooter traveling surgical bus. All operations on the Neuter Scooter are performed under the highest standards by licensed veterinarians and registered veterinary technicians. In addition to a discounted procedure underwritten by donors, pets from targeted communities also free basic pet care services such as a pre-anesthesia exam and nail trim at time of surgery. 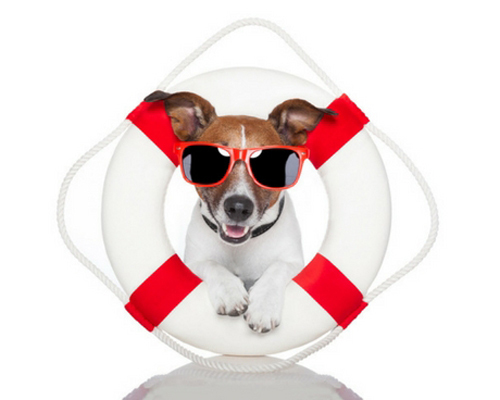 Clients receive results of the pre-exam of their pet and take home post-op documents. SNAP serves an estimated 4,900 pet owners a year. PetSmart Charities has given us a rare opportunity to get a second bus on the road, by funding half of the cost of Neuter Scooter II, in the amount of $145,000. Our job is to raise the other half by the end of 2019. Please help us reach this target to assist more animals in need by clicking here. Targeting low-income neighborhoods struggling with chronic pet overpopulation, due to lack of affordable vets, public and private spay/neuter programs, and pet education. Please click here to support. SNAP participates in the County-wide effort to spay and neuter companion animals living with the homeless, to prevent the birth of unwanted litters on the streets, where chances for survival in this harsh environment is slim. Volunteers pitch in by transporting pets to and from clinics. SNAP partners with the San Diego Chapter of Dogs on Deployment, to provide military personnel with canine companions, a “chit” to redeem for a free spay or neuter. Servicemen and women grades E1-E6, local or overseas, are screened by Dogs on Deployment then referred to SNAP. SNAP partners with the Native America Humane Society (NAHS) to bring services onto tribal reservations, where large feral dog populations exist. The NAHS sponsors clinics for members of the La Jolla, Los Coyotes, Mesa Grande, Pala, Pauma, Rincon, San Pasqual, and Santa Ysabel tribes. SNAP pays tribute to the memory of Maryann Stanco, long-time SNAP team member who worked tirelessly to schedule pets on the bus, by carrying on her legacy of helping senior pet owners struggling financially. Seniors 65 and over living on fixed incomes, are eligible to receive a spay or neuter for their companion animals, for $25 per procedure. 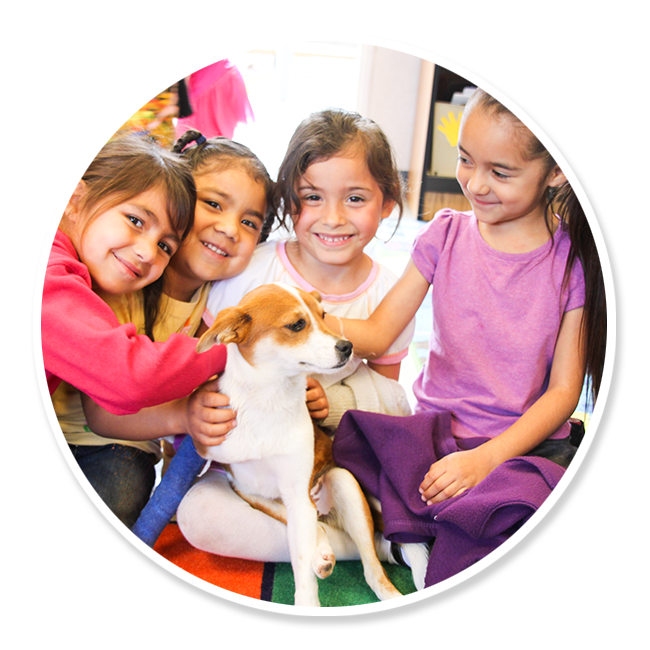 For over 10 years, SNAP has been visiting Title 1 schools and other youth-centered locations in underserved communities often experiencing pet overpopulation, to teach about responsible pet care and inspire compassion for animals through age appropriate workshops, all provided free of charge. Up to eight interactive sessions take place each month across San Diego County to provide students a role in the learning process with three core lessons that can be customized to fit the needs of individual classrooms. The first, Proper Pet Care for grades K-5, is a hands-on project with “Good for Me” and “Bad for Me” boxes filled with objects that are either beneficial or detrimental to pets that students can compare to their own daily needs. The second, Dog Bite Prevention for grades 2-8, teaches best practices on personal safety when approaching a dog or being approached by one that is unattended. A well-behaved canine is generally part of the curriculum for a meet-and-greet which for some students is the first exposure to a companion animal. The third, Puppy Mills for grades 5-12, teaches students about the puppy mill industry, federal regulations that govern the trade, and local ordinances. Students are also provided with a list of activities to raise money to help SNAP help more animals and in the process, develop leadership and math skills as well as a sense of community. In addition to onsite visits, entire classrooms are invited to visit the Neuter Scooter at clinic sites throughout the County. All courses come with a set of handouts to reinforce compassion and serve as reference materials. SNAP reaches an estimated 3,000 students per year. SNAPs Neuter Scooter is not only our warrior in the ongoing battle against pet overpopulation but also an outreach agent when participating in public events such as the annual Earth Fair in the spring and Pride Parade & Festival during the summer, seaside bazaars and street fairs, large scale spay/neuter operations, community service destinations, and smaller civic activities in communities served. If the bus is in service or the venue is too small, we participate with an informational booth. The sheer size of the bus and brightly wrapped exterior is a natural draw for foot traffic that gives plenty of opportunities to interface with the community to ask about any pets in the home, answer general medical questions, distribute educational materials on basic pet care, collect contact information for follow-up, and promote Friends of SNAP, an independent and self-funded entity that rescues and rehomes small dogs. Our whereabouts are regularly posted on the website, Facebook, twitter, and craigslist, through monthly electronic newsletters and blog, and the old-fashioned methods of distributing flyers and word-of-mouth advertising. As a Loyal Lifesaver, you become part of the solution to reduce pet overpopulation and the suffering that follows, in some of the most underserved communities in San Diego County. The problem of surplus animals is prevalent to these areas, because income-challenged pet owners who otherwise love their pets, do not have the financial means to spay or neuter. Your monthly donation is a way to help us get more cats and dogs on board the Neuter Scooter surgical bus, to not only prevent the birth of unwanted litter after litter but also improve quality of life by no longer dealing with the negative consequences of remaining intact. For many, this is their first exposure to any kind of veterinary care, and all of this is made possible because of you. SNAP is a purpose-driven 501(c)(3) charitable organization offering LOW-COST spay/ neuter services to our local San Diego community.